Premium Accounts are now active! If you want to make your Daylight Pet experience even better, go Premium! Head over to the Upgrade to Premium page to see more details! The Cash Shop will stock very exclusive and strong items and most likely, the latest ribbons! Keep an eye out for it on the sidebar! Those of you who played DaylightPets before the relaunch will be familiar with this, but to new members, the Ration Machine at Settlement One is working again! 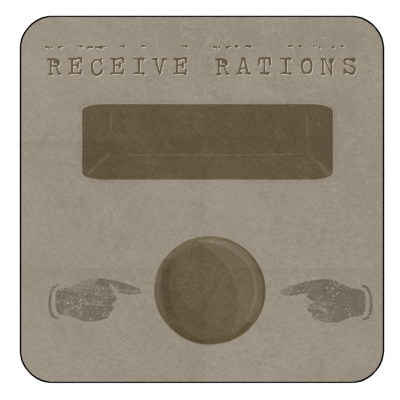 Head over there now to receive a ration, get there quick though - they're only available for a few days! The Aiee has received a revamp from our wonderful artist, Jolly. Daylight Pets needs some more artists, at the moment we already have a few working for free! :O But we need some more volunteers to help with items, pets, enemies, maps, shopkeepers etc. If you are interested in donating any artwork to the site, please mail me here! Meet Veles, he has taken over the running of The Armoury, go see him today! Checked out your Beanie Collection recently? There's a new 'Rewards' page where you can see the cool new rewards you can achieve by collecting certain numbers of beanies! This will soon be applied to Avatar collections so be patient! PS. Premium Accounts are almost ready - we have a working Paypal button, but NO accounts will be activated until we have finished tweaking the Premium perks! The About page has been revamped so it should now be more helpful! Alot of people have been asking about Premium Accounts. They will becoming active very soon, we just need your opinion on how they should work! Check out the forums to share your opinion: here!